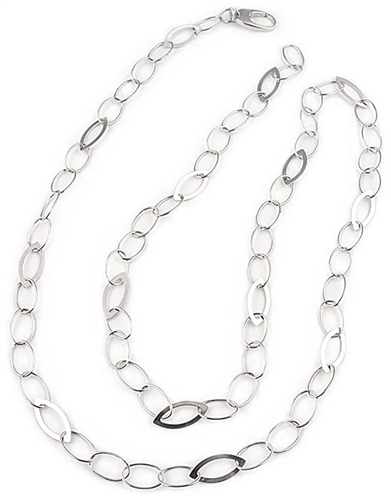 Italian Sterling silver chain necklace by Paula Rosellini. This beautiful designer necklace measures 100 cm and combines large oval and flat links. A versatile sterling silver necklace can be worn long or can be doubled and is available exclusively in the UK at Farfallina.net.